There are a lot of great phones out there in the wild. Flagships from this year, the previous year and the one before it, smartphones have evolved over the years which has made them more durable and less prone to deterioration in terms of hardware. In addition to this, software upgrades are also being encouraged by companies which add extra life to the devices with new features. So is the smartphone market becoming stagnant? Well, Foxconn seems to think so, even if it’s not for the same reasons. With such an anticipation, the company is looking to diversify its production lines. So let’s dive in to see some more details on the matter. At this point in time, Foxconn relies heavily on Apple that contributes to half of its earnings. With that said, the manufacturing company has high plans for manufacturing high-end products. According to reports from Nikkei, the company is looking to aiming to manufacture 8K camera which will be more affordable. The operation will be made possible in association with the renowned company RED. “We will make cameras that will shoot professional-quality films in 8K resolution but at only a third of current prices and a third of current camera sizes,” CEO Terry Gou told reporters. 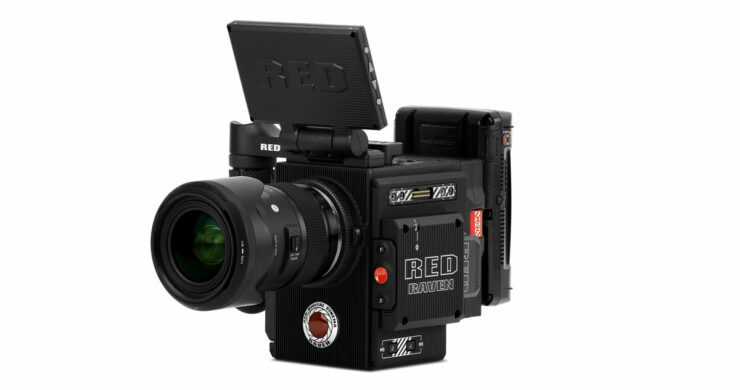 RED currently has several 8K models, including the 3.35 pound, $30,000 Epic W. That means Foxconn could conceivably produce an 8K camera that costs around $10,000 and weights just over a pound — less than many DSLRs. According to Engadget, RED camera feature advanced technology and have been part of the production of many great films such as Guardians of the Galaxy, The Hobbit and many more. However, it does not mean the Foxconn will loosen its relations with Apple. Instead, it is working to tighten the bond in order to compete for OLED screen orders, as per the latest report. There will be more to the story, so be sure to stay tuned in for more details. This is all for now, folks. What are your thoughts on Foxconn looking to diversify its manufacturing with affordable 8K RED cameras? Share your views with us in the comments.